This portable camping pot set is a must in your later outdoor activities. 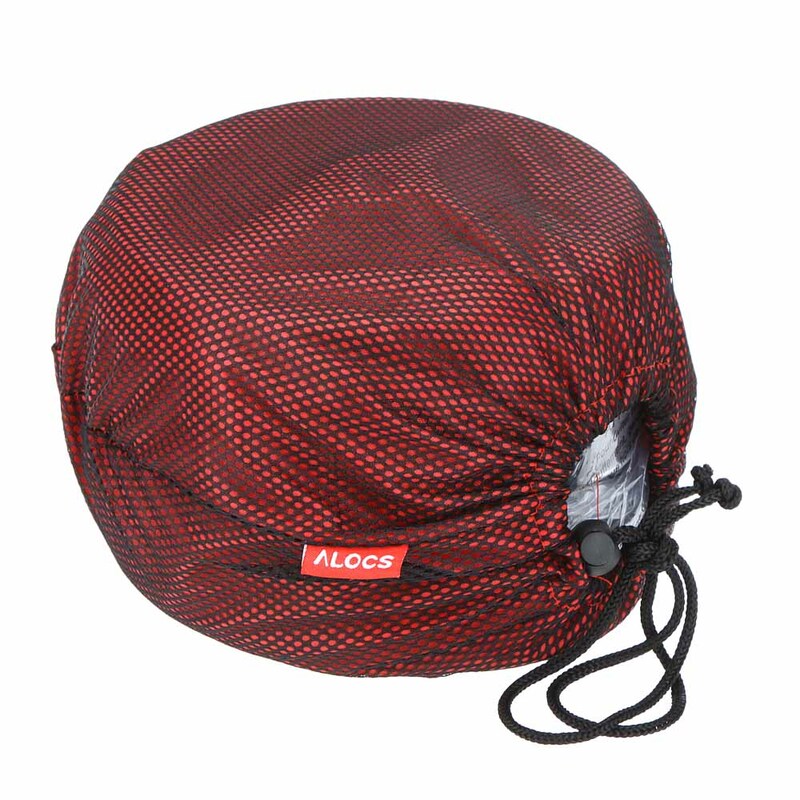 It is made of safe and durable material and perfect for outdoor camping, hiking, backpacking, picnic and other outdoor activities. 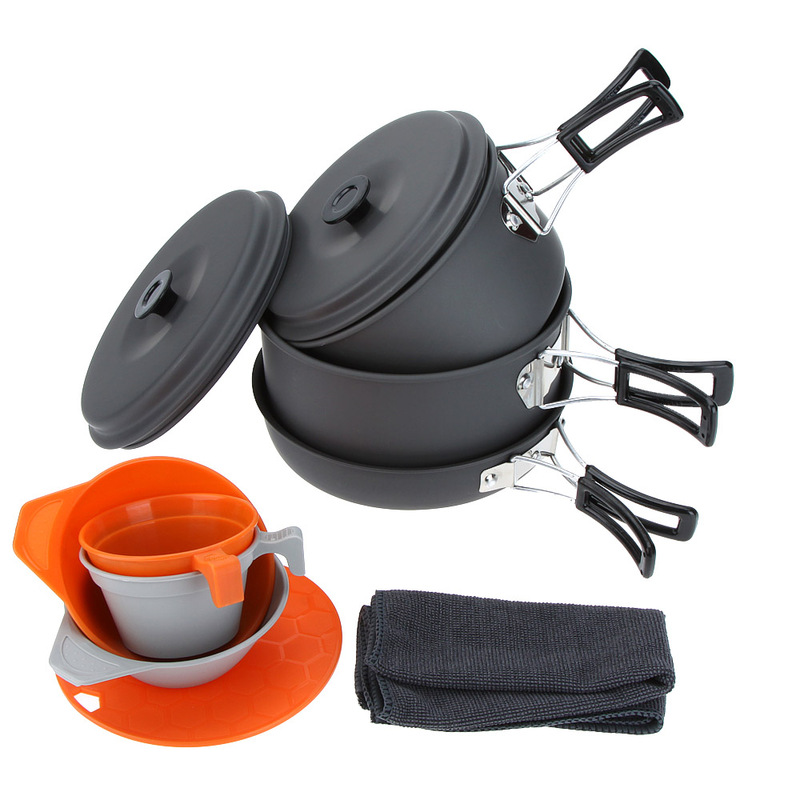 This non-stick camping cooking set includes most cookware you need like pots, frying pan, bowls, cups, perfect for 3-4 people. 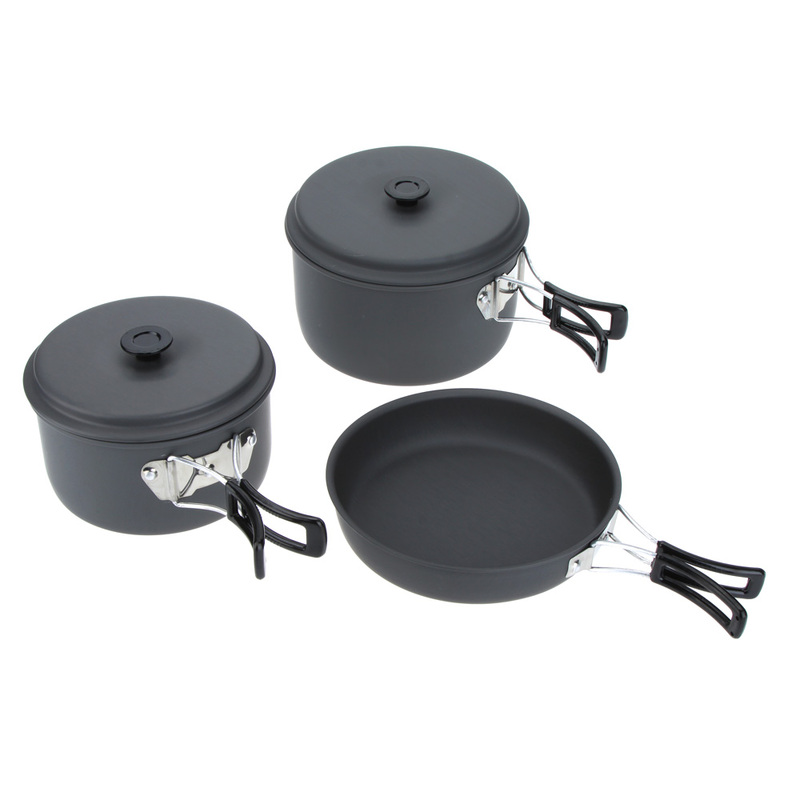 The pots and frying pan are made of solid and light aluminum oxide, which makes it high-temperature resistant and friction-resistant. 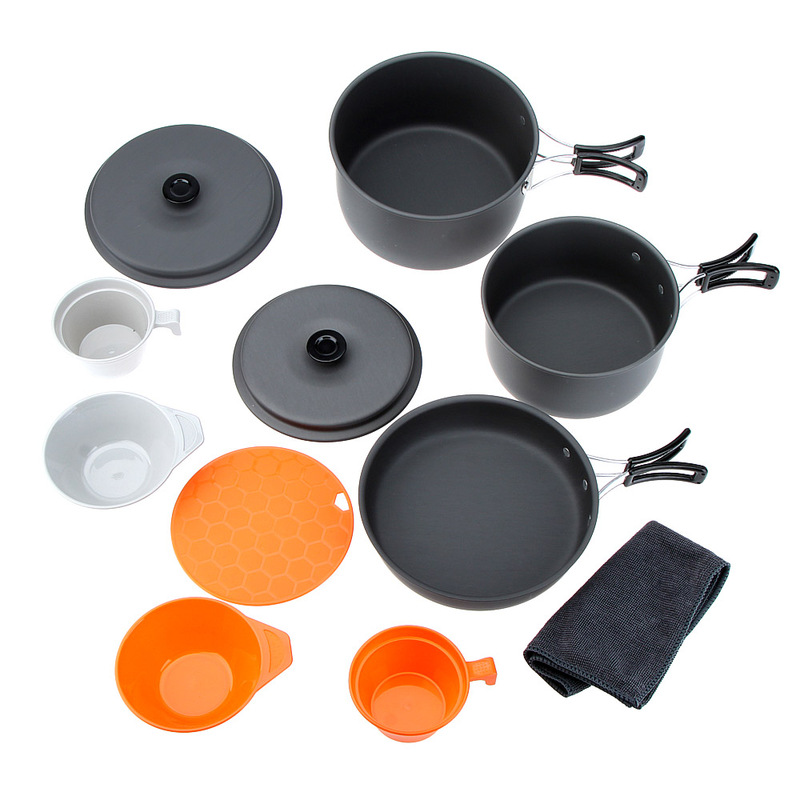 There are foldable handles on pots and frying pan, contributing to save space. 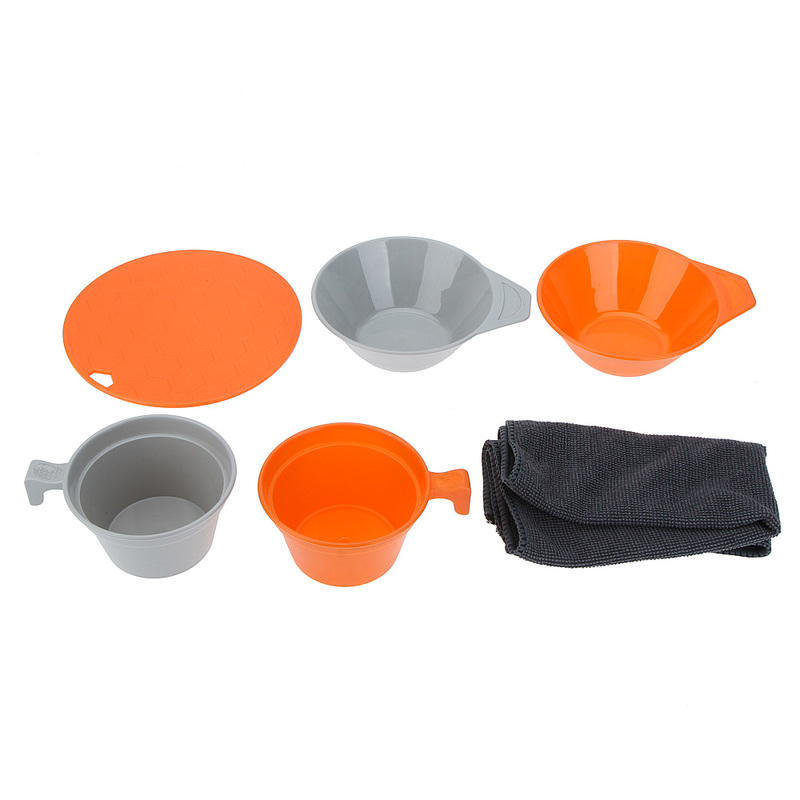 Two bowls, two cups, one cutting board and one clean cloth are included. 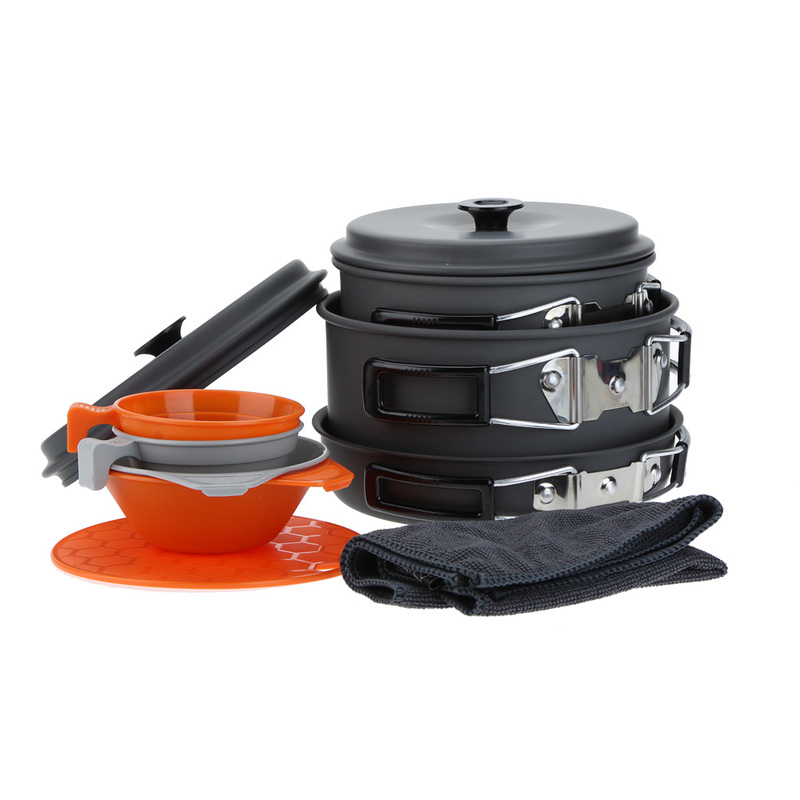 All the objects in this camping pot set can be stored together in a drawstring bag for convenient carry.